Listening to Warren Hughes speak passionately about his role within McLaren GT's young-driver programme, it's easy to see why he is one of the most respected coaches around. A veteran of 76 British F3 starts between 1992 and '99 before making a successful transition into the British Touring Car Championship with West Surrey Racing's MGs and then into sportscar racing, 51-year-old Hughes has been coaching drivers for the past 15 years, with McLaren youngster Lewis Proctor and F3 race winner Nikita Troitsky - now four years into their relationship - benefiting from his experience in 2018. 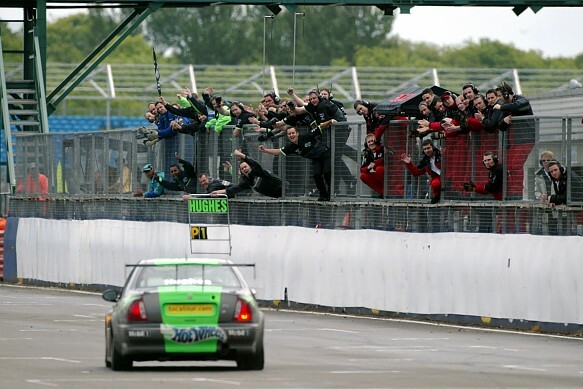 "It's not a replacement for driving because nothing will ever come close to the enjoyment of racing, but I still love what I do," says Hughes over a cup of tea at a chilly Donington Park. "It's still a rewarding job because it's using all the knowledge that I have. "I don't see my role in any of the teams as black and white. I'll adapt to whatever the situation requires. If the engineer needs a bit of help, I'll try to spend time with them; on another day it might be the driver isn't confident because he's had an accident previously. It's a roving role as I see it - no two days are the same." 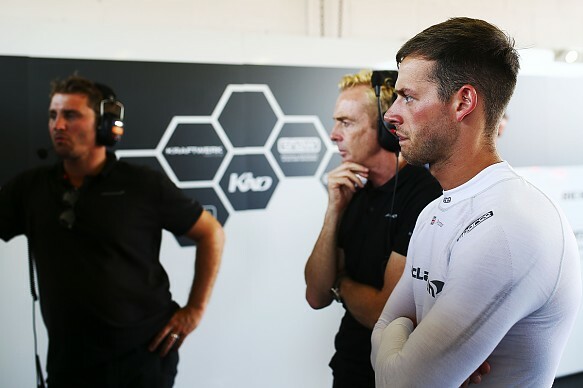 Hughes (below, centre with Proctor) describes his role as being the "bridge" between driver and team to ensure each is getting the best out of the other. So far, so straightforward. Yet the role of a driver coach is often viewed with suspicion and remains one of the most misunderstood professions in motorsport. 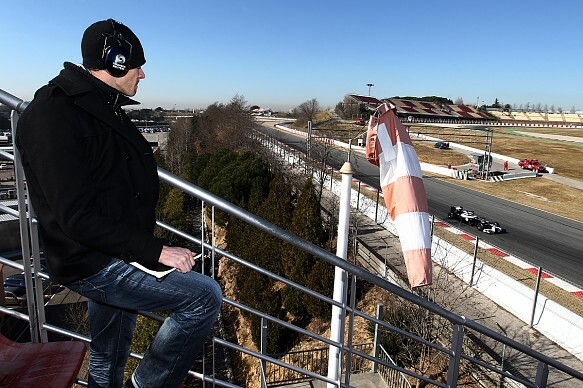 As recently as 2015, Hughes reveals he was made to feel like an "intruder" at a test with a Formula Renault 3.5 team that didn't understand his purpose and was unwilling to give him access to the data he needed. "They didn't like the fact that I wanted to know the details of the data. It was so short-sighted," he says. "You can't just coach by standing on a corner or in the garage listening - there's so much more depth to it than that. You've got to live and breathe it with the driver. "You need to combine data, video and corner-watching, be involved with all the conversations and then you form a picture. It's not just a case of 'brake later here'. When you get restricted by a team it's never going to work. People often don't realise the complexity of how to go quickly." Even for those not familiar with George Bernard Shaw's disparaging maxim on teaching, an admission to using a coach has often been considered a sign of weakness to be exploited, although this is showing signs of changing amid the fashionable pursuit of 'marginal gains'. Egotism is a common enough trait among young racing drivers, but few truly believe they cannot be improved in some way. 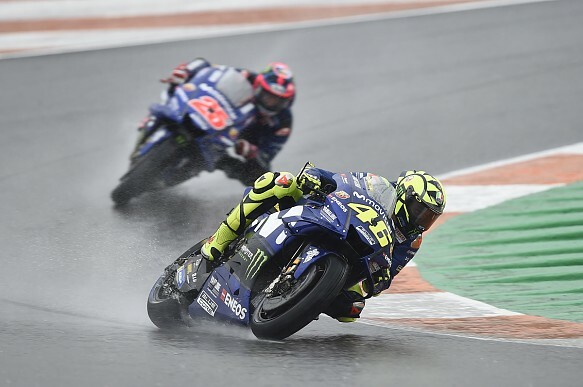 After all, if two-wheel legend Valentino Rossi has a rider coach, then why should the same not apply to four-wheel motorsport? Paranoia about data-sharing aside, a large part of the scepticism of coaching concerns the profile of the coaches themselves and the perception that most are failed racing drivers who, needing no professional qualifications to become a coach, have little to offer by way of advice. But tarring all coaches with the same brush can be self-destructive, as it overlooks the fact that the glitter on a driver's CV has no bearing on their suitability to share advice. As in football, where failing to make the grade as a player is no obstacle to a managerial career - proven when Arrigo Sacchi led AC Milan to consecutive European Cups in the late '80s - the worth of a driver coach is dictated by the quality of information they provide and the manner in which this is articulated, rather than their name. "You can also get really good drivers who aren't good coaches," agrees Hughes. "There are a lot who try to justify their existence and feel the need to have input when it's not always necessary. "The thing that wins their trust is the information you give them. As soon as you give them a bit of accurate information that they put into practice and see the benefit, you've got them - they're on board." The proliferation of user-friendly data-logging and video devices has certainly made it easier to find work as a driver coach in the modern age, which has its positives and negatives. While coaching is now more accessible than ever, this comes with the caveat that some coaches - often struggling young drivers looking to earn a bit of extra cash - will lack what Hughes terms the "emotional intelligence" to read the subject and effectively communicate their message. Their advice will more closely resemble instruction, which fails to explain why drivers are going wrong or how they can improve. This is not lost on those making their living from coaching, who have to work extra-hard to break down these preconceptions. 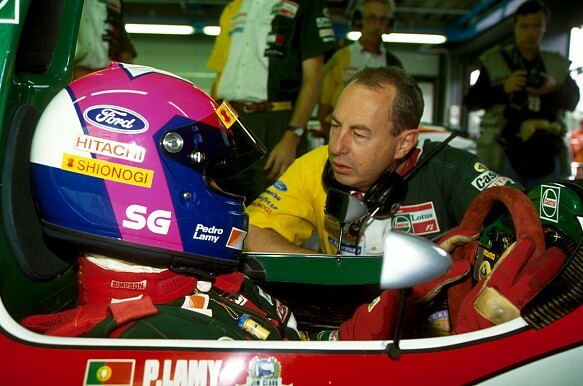 "There's a lot of so-called coaches who talk the talk, but I don't think they really understand," says former Team Lotus boss Peter Collins, the face of driver-development agency AllinSport. "If they have the phraseology and they are in a situation with a team where they are accepted, they are a coach. But it doesn't mean they're actually able to provide valuable advice. There are a lot of people who speak English, but there's not that many people, even native English speakers, who are great communicators." Collins, who also had stints as team manager at Williams and Benetton, actively rejects the 'coach' label and instead prefers to see his business as that of education and development, which is immediately evident in his methods. Considerable emphasis is placed on work away from the track, helping drivers to improve their communication with engineers, understand the elements of a car that have the greatest influence on lap time and how to harness these to access the car's full potential on a simulator, which is then continued at the track. "If you build a house on poor foundations, you're never going to have a good house and it's the same with a driver," Collins explains. "If somebody doesn't understand what they're trying to achieve and they don't understand the logic and the process of how to achieve it, it doesn't matter what they do at the track or how brave they are, they're not going to get the result they want. "The driver's job is to present the car to the track in an attitude and way where it allows the tyre to be optimised - good drivers and good coaches will understand that, but the ones who don't will just be telling you when you've got to get on the throttle." Although the entry point may be low, coaching is a skill that takes years of practice to master and is a continual learning process. Darren Manning is a case in point. 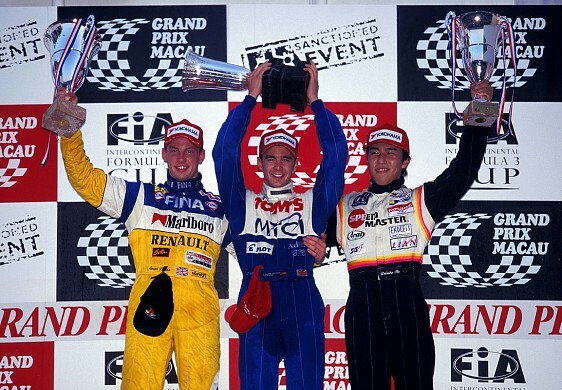 The Yorkshireman beat Jenson Button to win the 1999 Macau Grand Prix and tested for BAR on his path to Indycars, where he had the misfortune of joining Chip Ganassi Racing just at the point when it had ceased to become a competitive force in 2004. Ousted from the line-up the following year while ahead of team-mates Scott Dixon and Ryan Briscoe in the standings, Manning's driving career fizzled out in '10 after a lifeline from AJ Foyt and a few sportscar outings led to nowhere, but he has returned as a coach with the same appetite for self-improvement he had as a driver. "Even as a coach, I'm learning all the time and as soon as I get closed off to not thinking I can be better is the day I probably shouldn't coach anymore," says Manning. "I think that's where a lot of the problems are in perceptions of coaches, because 'that guy teaches you like this or this'. "Every driver is different - some will talk slowly and other guys are really excited. Everyone has a different personality, so a coach has to be a sports psychologist and a personality specialist and so on. "I'm always trying to get to the same goal, but how I get there is very driver-specific. Some need to look at data, some don't; some need to be geed-up and shouted at. So the biggest thing for me as a coach is working out who I'm working with and adapting my coaching style or the way that I talk." 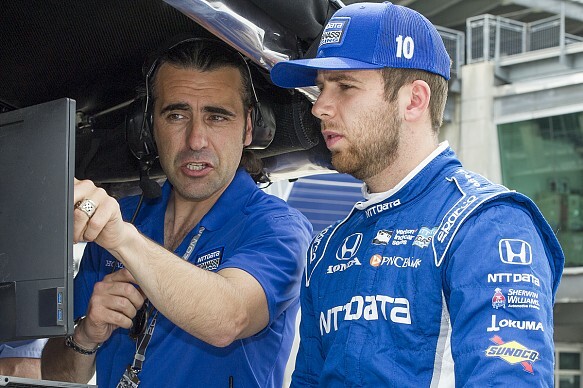 Key to Manning's approach to coaching Indy Lights racer Dalton Kellett is the simulator at the Indianapolis HQ of his I Advance Motorsports business, which allows for unparalleled repeatability of key skills without overwhelming Kellett with information. It's not exactly groundbreaking stuff, but it gets results. "The simulator is my tool to see what level the driver is at, understand what they're thinking and work together to get more out of them," Manning explains. "You can do that when you're sitting beside someone on a simulator, but that's very difficult when you're on a track and standing on a corner. "You've got all the data-logging and that's great, but instant feedback and repetition is what I like from a simulator. If you can match that up to on-track coaching, even better." While Collins didn't reach the heights of Hughes or Manning as a driver, stopping in Formula Ford, his wealth of experience dating back to the 1960s is unique among modern-day coaches. Having observed the physical-control inputs of Jim Clark and Jackie Stewart in the Tasman Series at Warwick Farm from his vantage point in a disused television tower, Collins's work with the likes of Carlos Reutemann, Nigel Mansell and Mika Hakkinen has given him an in-depth understanding of driver psychology that has in turn enriched the value of his advice since turning to coaching with Allan Simonsen in 1997. "I learned things from Reutemann, not because he would tell you, but just observing the way he went about what he was going to do," says Collins. "His technique was to spend all of free practice perfecting one corner at a time, then when it came to qualifying he would stitch all 15 corners together and do a sensational time. "He tended to overthink things and was probably overly sensitive, but it was incredible what he could do once he'd figured out how to drive each corner to the maximum." Reutemann is a classic case of a driver who had all the necessary talent to be a world champion - and came within a whisker of doing so in 1981 - but who lacked the temperament to make good on it. In Collins's view, psychology is often ignored by teams due to the pre-eminence of data - "it's effective in getting them quick in a particular car, but it's an empirical education, rather than a logical and process-driven education" - and this is where a well-rounded coach can fill in the gaps. Data is a useful tool, but cannot be relied upon to the extent where the human agent who is feeling and influencing what the car does is ignored. "It's a one-to-one thing - you can't mass-produce the effect or the input because you have to understand what makes them tick," says Collins. "Where they come from has a lot to do with the way drivers think and work. "Few people understood that to get the best out of Mansell, you had to understand his mentality and his commitment - he'd sold his house and was living in his father's garage to do three Formula 3 races, so he had massive pressure to achieve something. 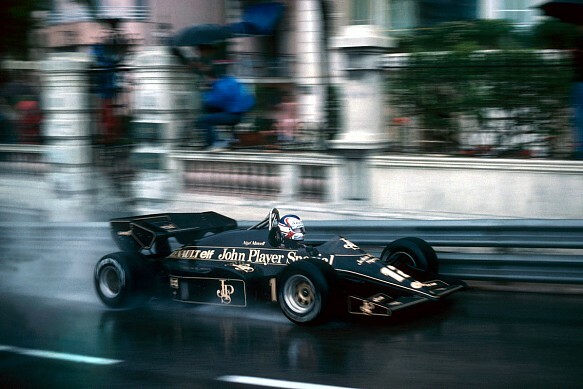 "But at Lotus he was constantly having Elio de Angelis's performance rammed down his throat by Peter Warr, and at Monaco in 1984 Nigel crashed because the last thing he heard in the motorhome was Warr telling Elio how fantastic he was. Subconsciously Mansell was determined to prove him wrong. "If you don't understand the psychology of the individual, you will never get the most out of them." When a coach has the implicit trust of the driver and both parties are honest about the areas that need to be worked on, the relationship will bear fruit. The results may not be apparent straight away but, if the coach is used properly, the driver's learning curve will be made more manageable and their return from each season of competition will be greater. "A driver coach should be perceived as a fast-track to be a better driver in certain areas," says Manning. "How many areas is down to the driver - maybe it's one or two, but maybe it's a lot of different areas." Coaches may be the most misunderstood assets in motorsport but, as their impact continues to grow, that is only going to change for the better. Helped by improvements in technology, coaching has become increasingly accessible for young drivers looking to accelerate their learning curve. But rewind 30 years and aside from the odd racing consultant, like James Hunt, drivers employed by race schools, such as Vic Elford at the Skip Barber school at Sears Point, or team patrons with their own private schemes such as Jackie Stewart's at Oulton Park, there were very few people making their living from on-site coaching. Hughes admits that he would have benefited from an external observer in the formative years of his career to direct his "blind passion" in the right direction, had the right person been available. "I didn't feel closed to it, it just wasn't a thing that people were doing," he says. "I would have grabbed it, if it was the right person. That's an important part of it." His view is echoed by Manning, who reckons that he might still be racing professionally had he received better advice when he earned his big shot at Chip Ganassi Racing. "I needed to be more of a man and stand up for what I thought, maybe communicated better, worked harder, but the coach had to be right and I don't think there was anybody out there that was right at that stage," he says. "There are a lot of things I would change and I probably still would be driving to this day. In the end, I didn't have the right advice." 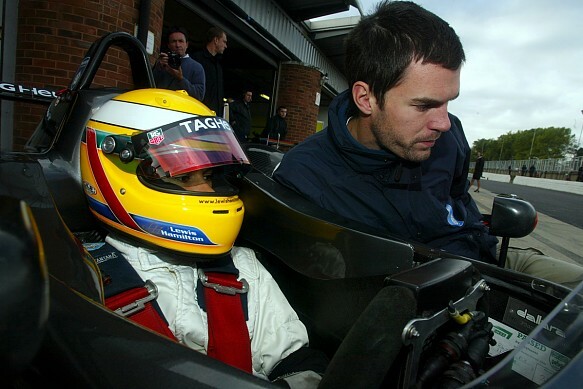 Manning recalls in his early days with British Formula 3 rookie Speedsport taking driving tips from Mugen-Honda engine technicians supporting Paul Stewart Racing due to a lack of alternatives with F3 experience, so welcomes the increasing prevalence of coaching while conceding there will always be some who question its value. "People will just go off their own experience," he says. 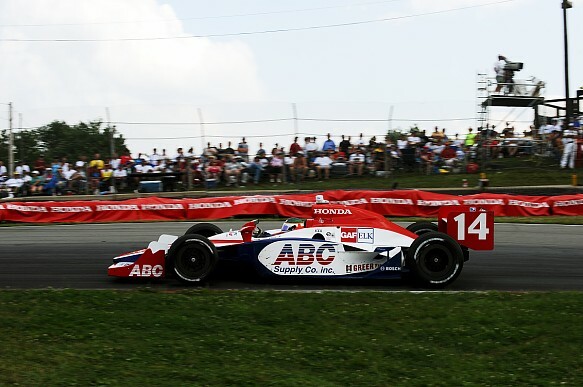 "AJ [Foyt] for example, he did it all himself and was very successful, so why would he think you need to do it any different from the way that he did it? "AJ and others that have done it themselves say, 'Well, if it was good enough for me...' and that's fine because that's all they've got to go from, but that's changing and modern drivers are starting to look into themselves a lot more. 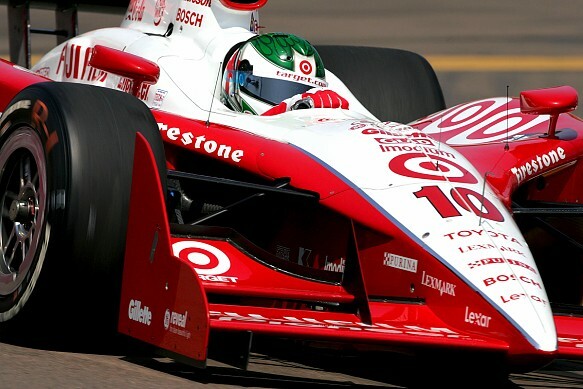 "Everybody is having coaches of some sort now - in IndyCar, Ganassi has got Dario [Franchitti] and a lot of guys have sports psychologists. The industry is changing a lot, it's a lot more acceptable to get advice from peers now. "The thing that I love about motor racing is you can always learn - nothing is good enough."